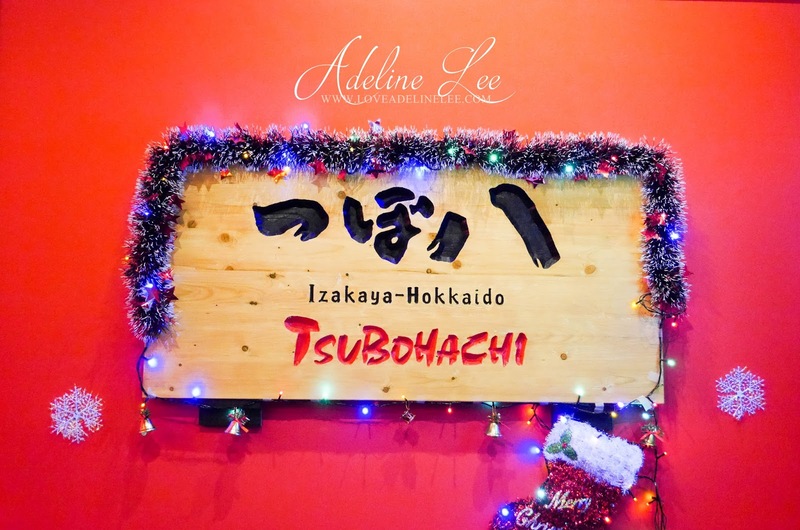 Tsubohachi Hokkaido Izakaya is an authentic Japanese Izakaya style restaurant which is located at Publika. 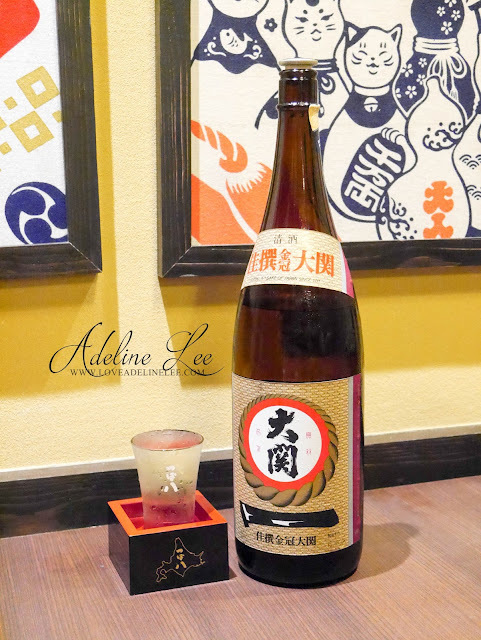 Over the last 40 years, Tsubohachi has built a very good reputation as Japanese authentic Izakaya chain origin from Hokkaido. It is known as the place to go for drinking. This is their first branch in Malaysia. The environment of Tsubohachi is in very authentic Japanese style based on Edo period. The things that catch my attention would be the Japanese giant bathtubs in the restaurant. 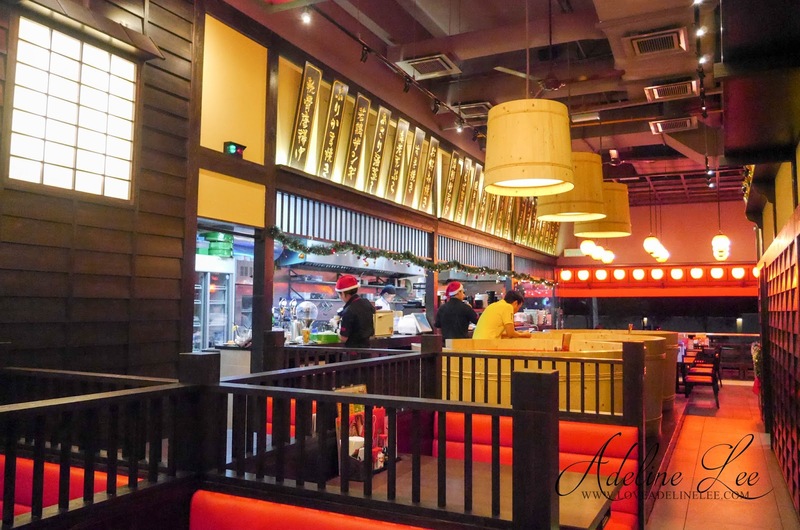 With the authentic Japanese style ambient, yummy dishes and the great Japanese hospitality, Tsubohachi give me a wonderful dining experience on how is it to dine in an Izakaya restaurant in Japan. 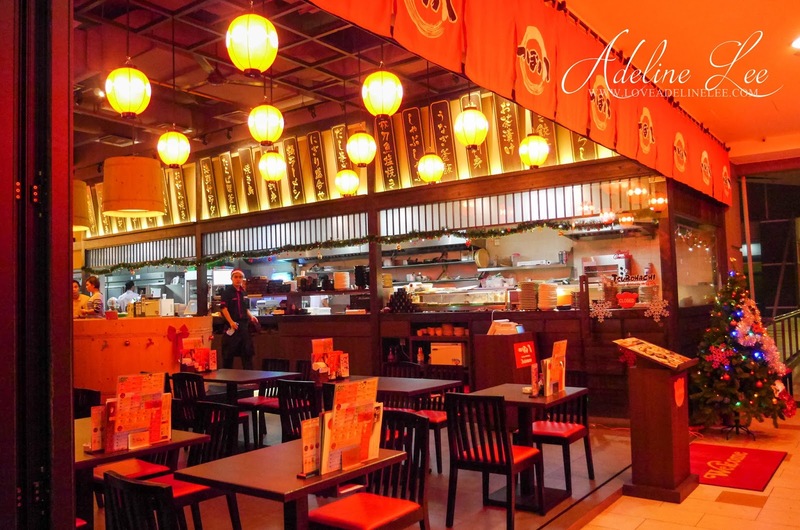 For their Japanese dishes, all the ingredients are imported from Japan and other countries. 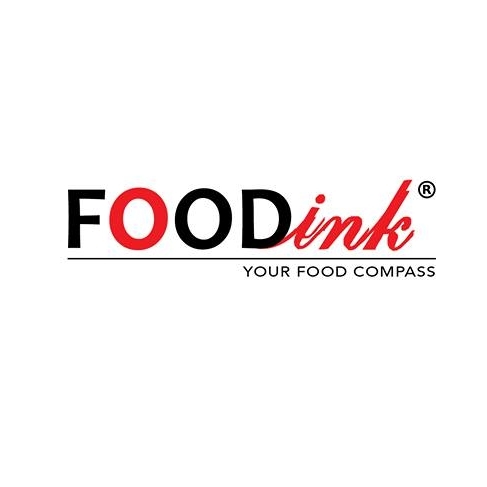 It is to ensure that the food ingredients that they use are the highest quality and fresh. Izakaya food is usually more substantial. Many items are designed to be shared. 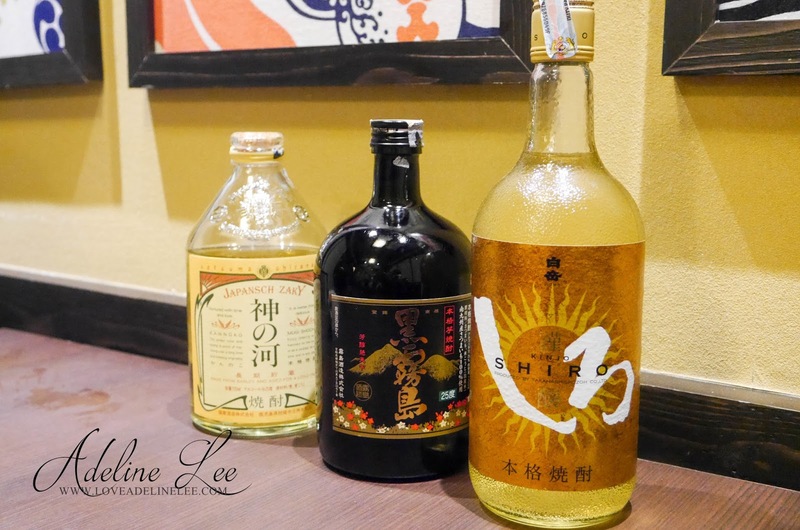 Tsubohachi are offering wide range of alcoholic drink such as Masu Sake (Japanese Rice Wine), Asahi Sub-Zero (Extra Cold Beer), Ozeki Hana Fuga (Sparkling Rice Wine), Yuzushu and so on. Highball is the name of mixed alcoholic drinks which is the combination of alcohol base and larger proportion of non-alcoholic mixer. 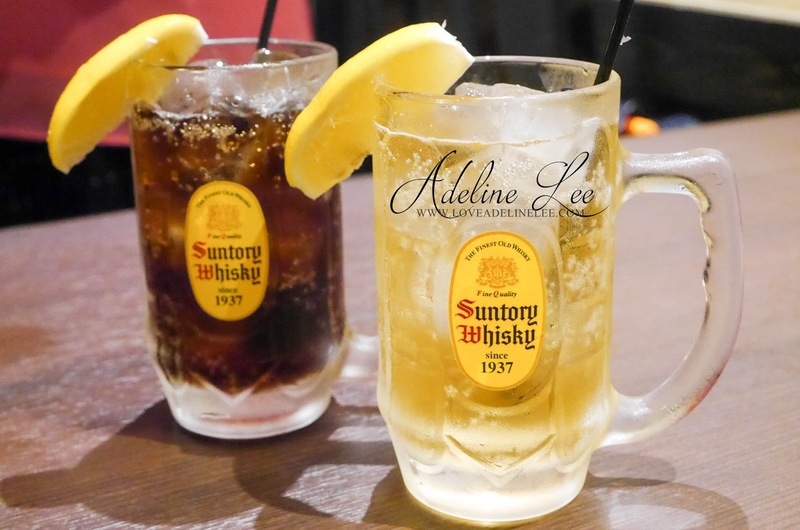 This kind of drinks is Japanese popular drinking style. This drink is very suitable for girls as it is sweet in taste. Most of the girls like Highball. 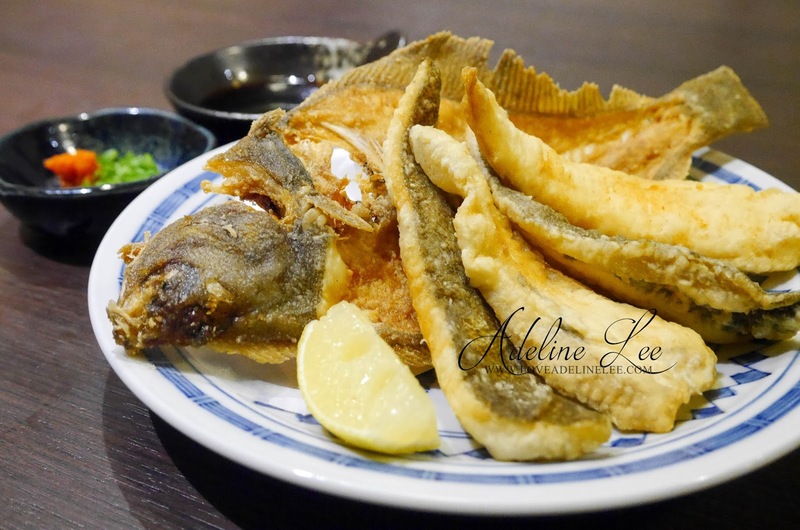 Nankotsu Karaage is deep-fried chicken bone while Eihire is grilled ray fin. 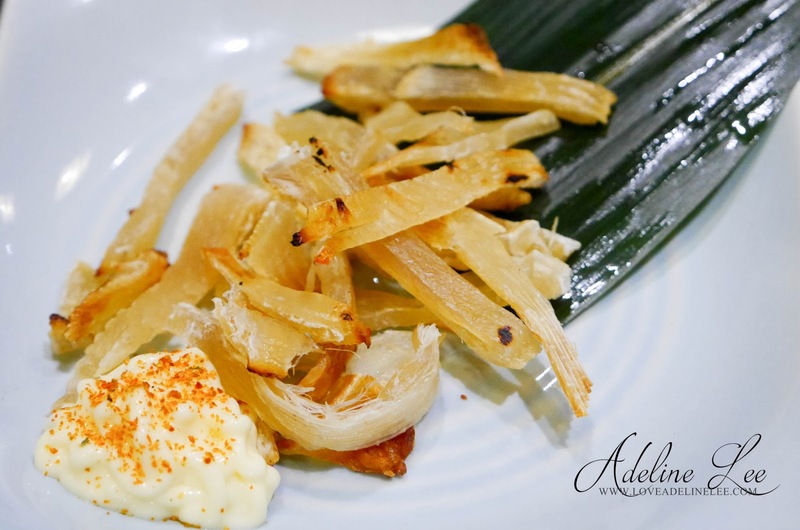 Both of these dishes are good to eat as an accompaniment to alcohol. 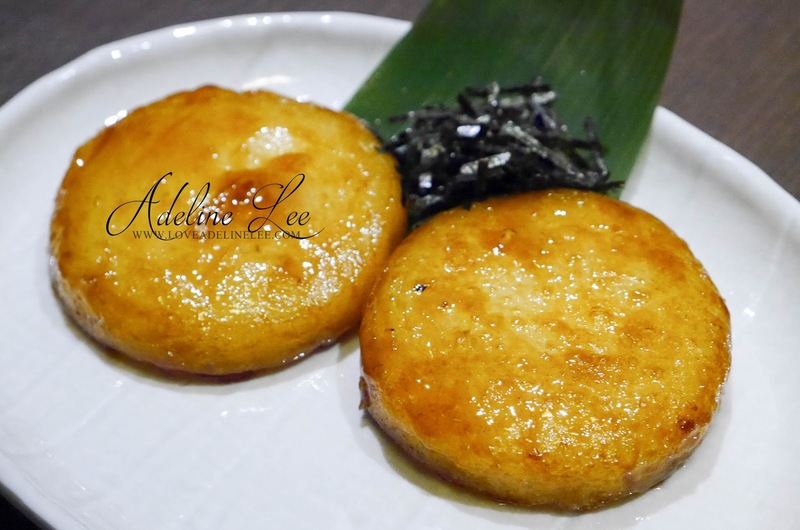 Imo Mochi is Hokkaido style deep-fried mashed potato. The texture of it is sticky just like the Mochi that we usually ate. Poteta Mentaiko Yaki is another potato dish in Tsubohachi. 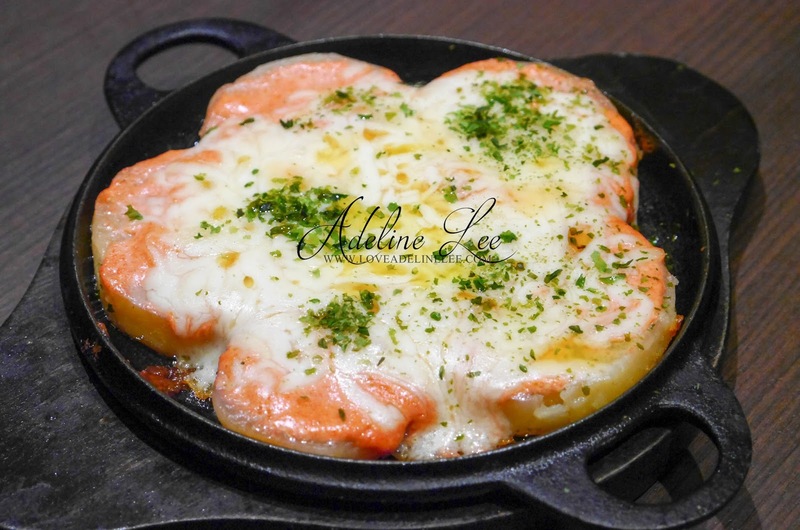 It is the combination of potato with seasoned cod roe, mayonnaise and cheese. Hokkaido people like potatoes so much. That’s why you can see some of the dishes are cook with potatoes. 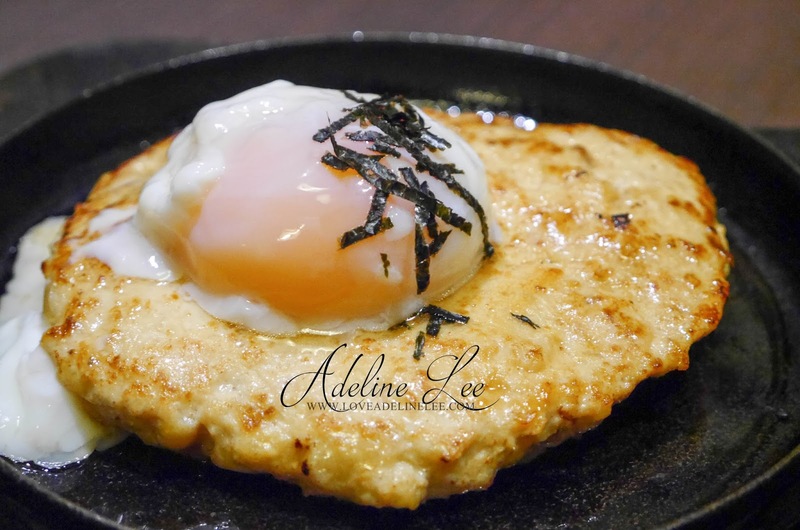 Ontama Tsukune Teppanyaki is grilled minced chicken with hot spring egg on a hot pan. Eat it when it is still hot. You will like it! 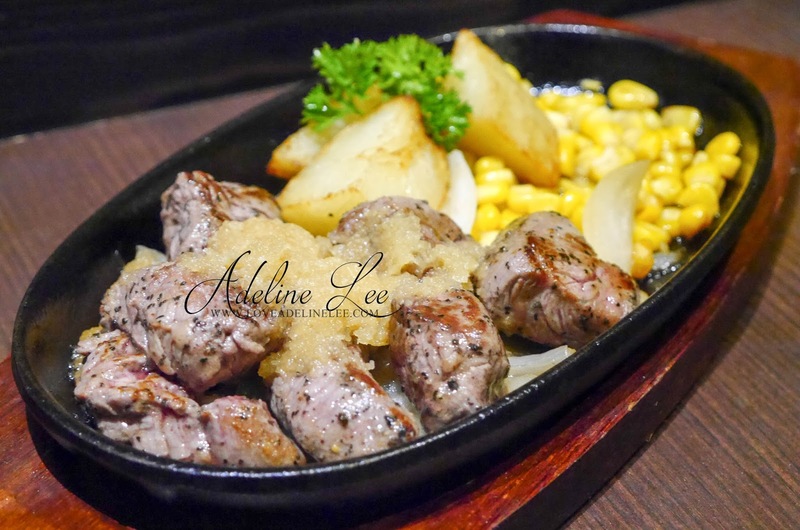 You can’t miss out grilled chicken skewers when you dine in Japanese Izakaya restaurant. 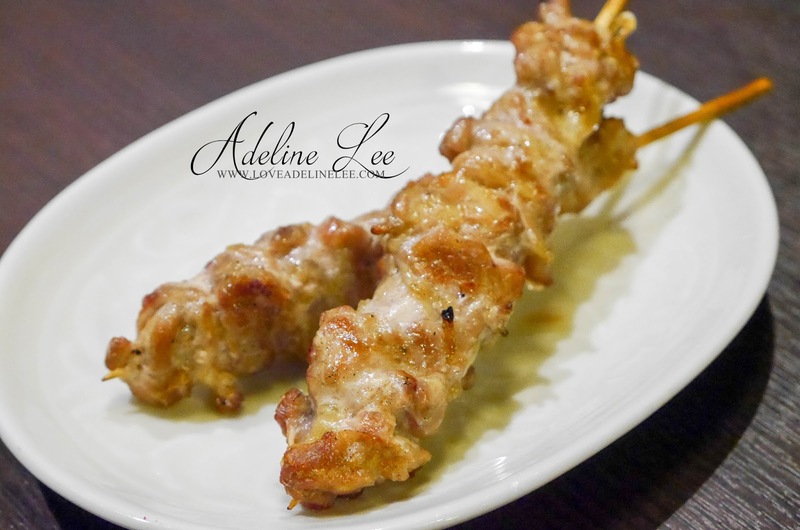 These 3 chicken skewers are from different part of the chicken which is chicken thigh (Negima), chicken neck meat (Seseri) and chicken skin (Torikawa). I like Seseri and Torikawa the most. 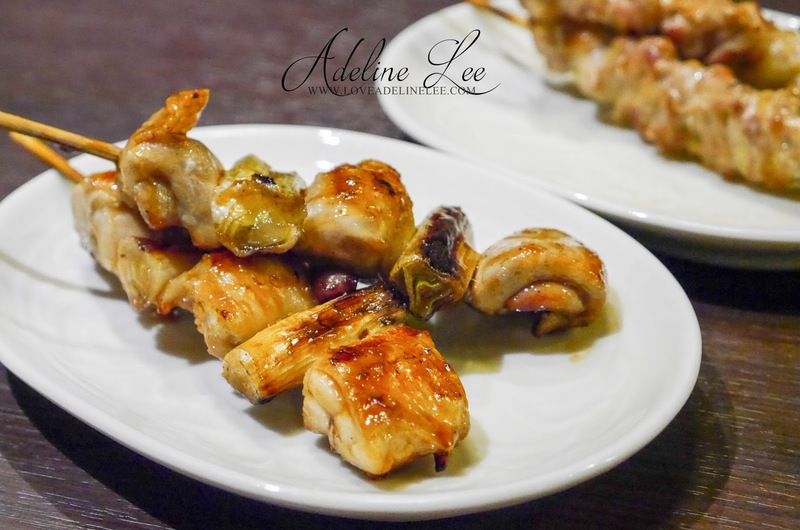 The chicken neck is grilled to perfection and the meat is juicy while the chicken skin is very crunchy. It is not oily at all. 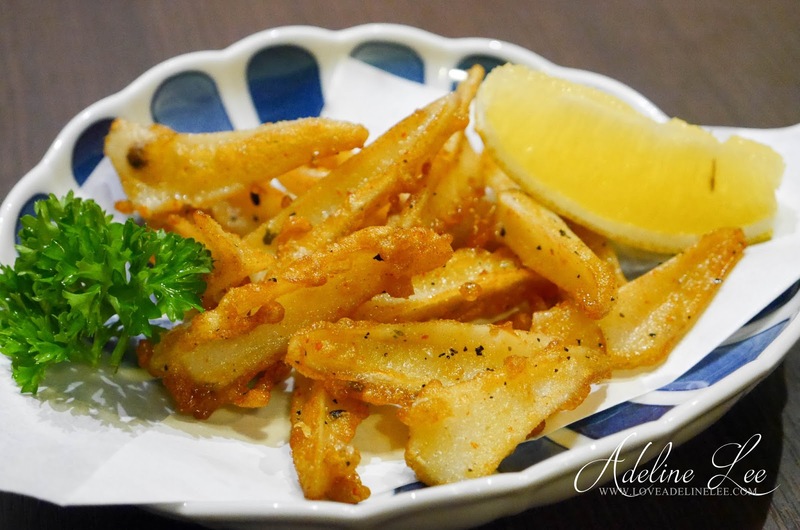 Karei Karaage is deep-fried Flounder. 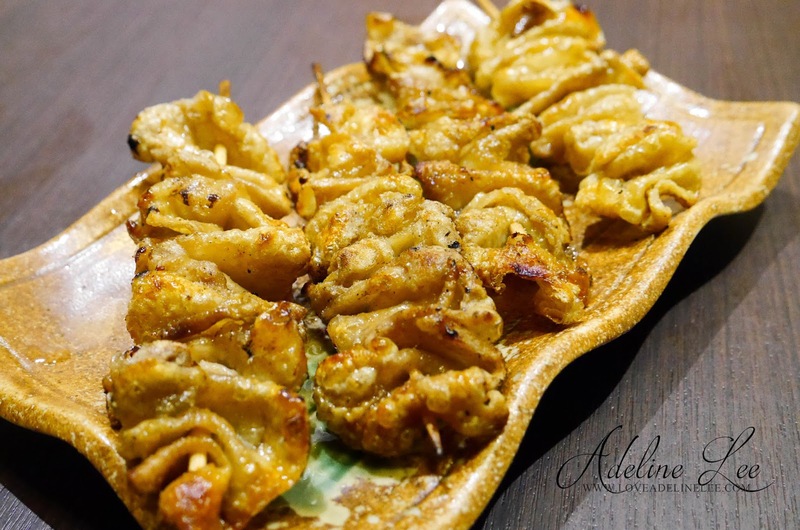 It is very crispy and you can eat together with the bone as well. Thumb ups for this Tonpeiyaki. It is omelette with sliced pork and cabbage. 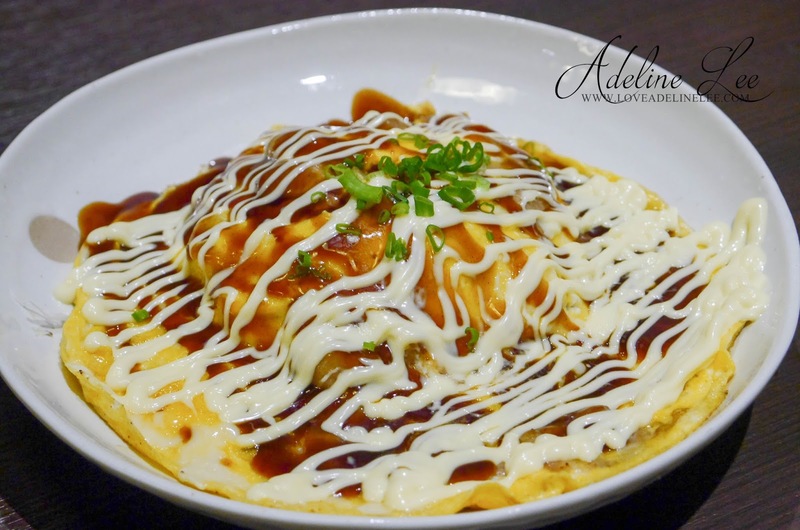 If you like omelette, ne is never enough for you. 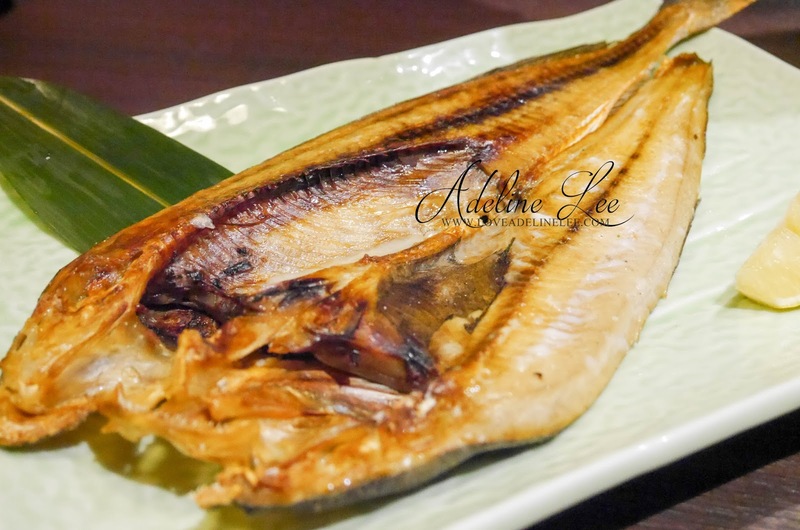 Hokke Hiraki is grilled Atka Mackerel. Eat this with alcohol is absolutely the perfect match. Salmon also Hokkaido people favourite. 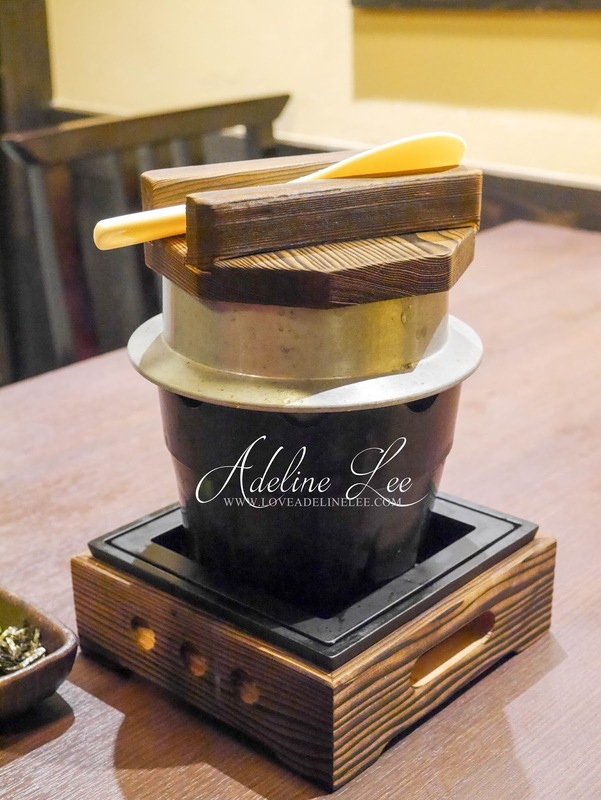 Ishikari Nabe is cooked with salmon and vegetables in Miso based soup. 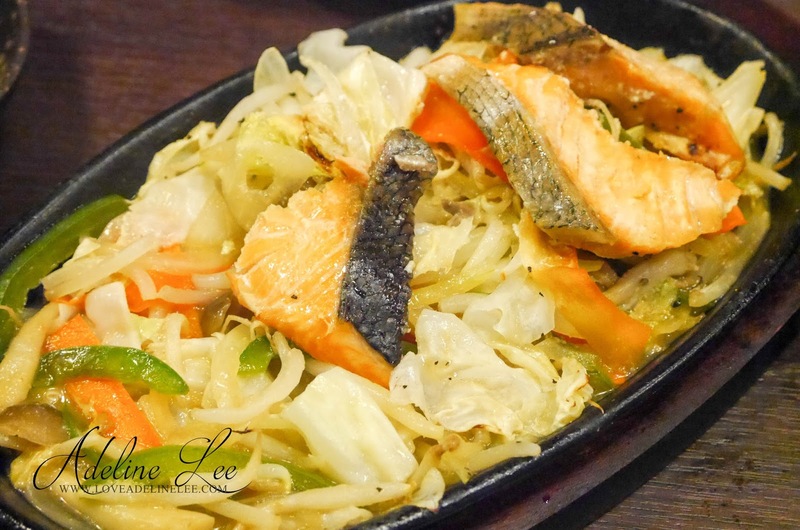 Sake No Chanchan Yaki is another salmon dish which contains grilled salmon and vegetables with original sauce in it. Nagashi Somen is the highlight of Tsubohachi. It is a flowing Somen Noodle set come with some vegetables tempura. 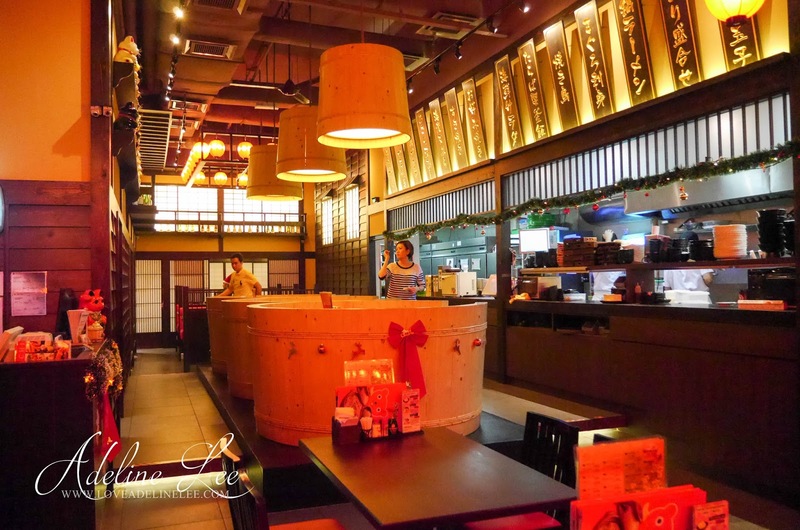 In Japan, the noodles are placed in a long flume of bamboo across the length of the restaurant. The flume contains clear and ice-cold mountain water. 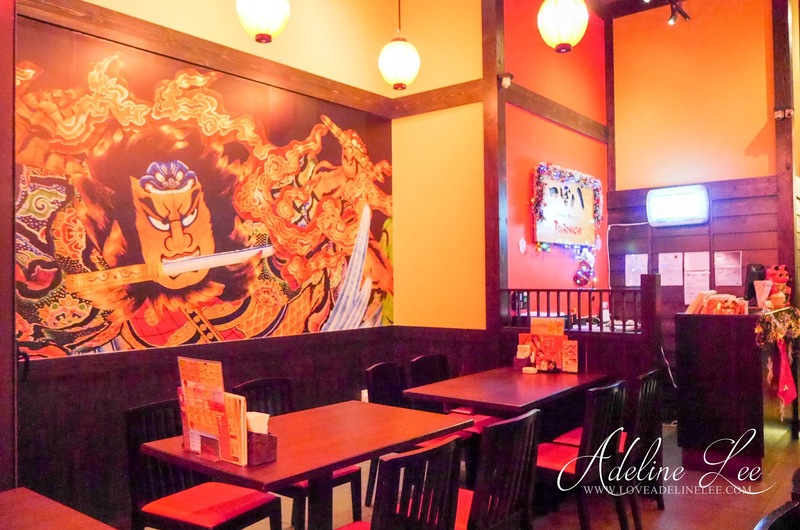 As the noodles pass by, diners have to catch the noodles with their chopsticks. But now, machines have been designed to replace the flume of bamboo. Well, it is actually quite fun like playing “masak-masak” while having meal. 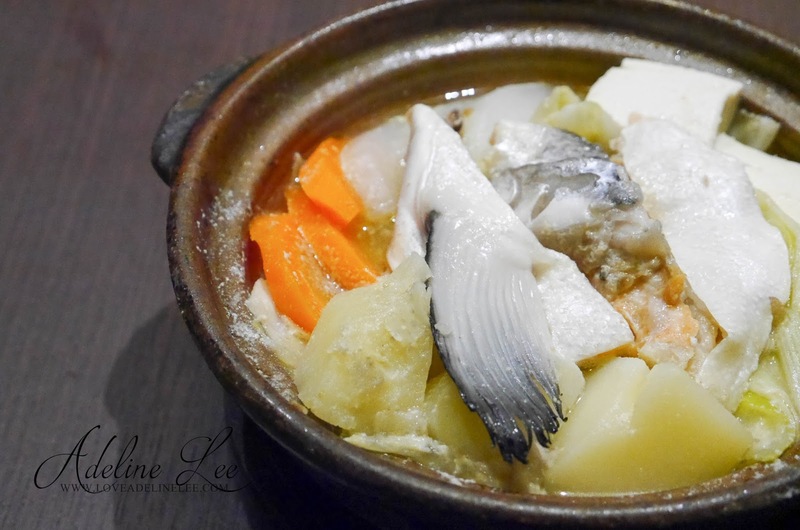 Hokkai Kamameshi is seafood pot rice which is also another highlight of the restaurant. 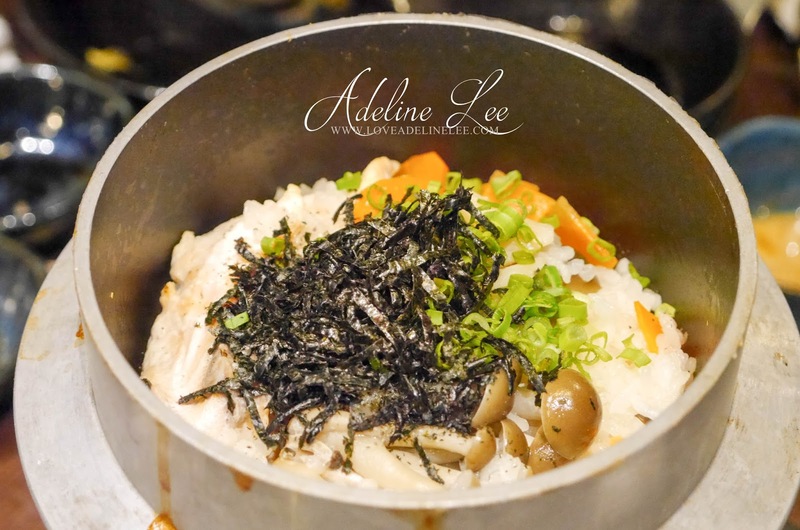 It cooks on the spot on your dining table when you order this seafood pot rice. It takes 15 to 20minutes to cook it. 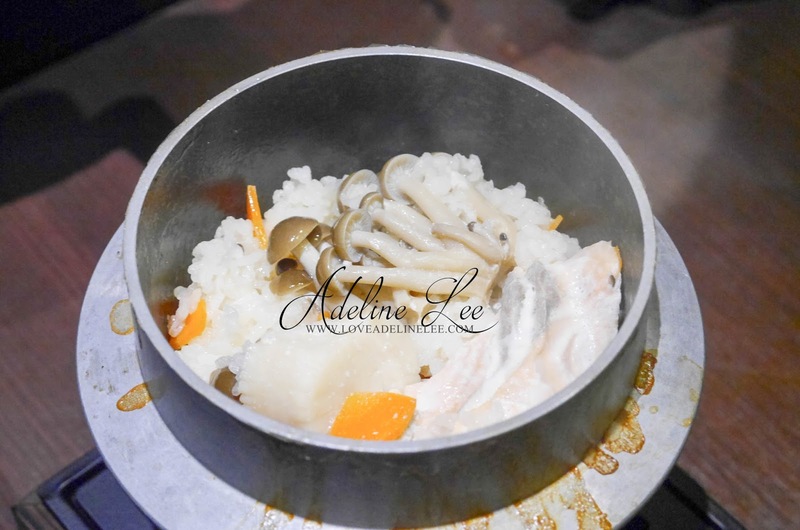 I can’t resist of the seafood aroma when it is ready to be serve! Seafood include salmon, scallop and king crab! Buta Hakusai Nabe is one of my favorite dishes in Tsubohachi. 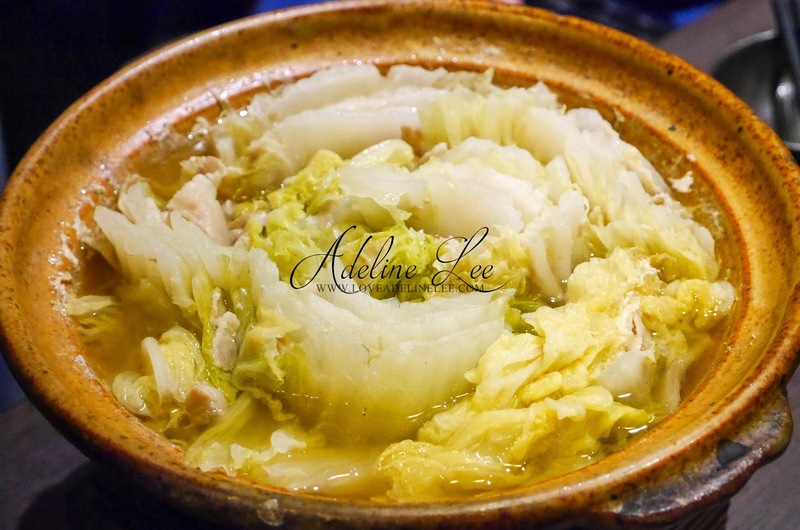 Pork belly and cabbage are arranged nicely layer by layer and cooked in the claypot. The soup is sweet and tasty. 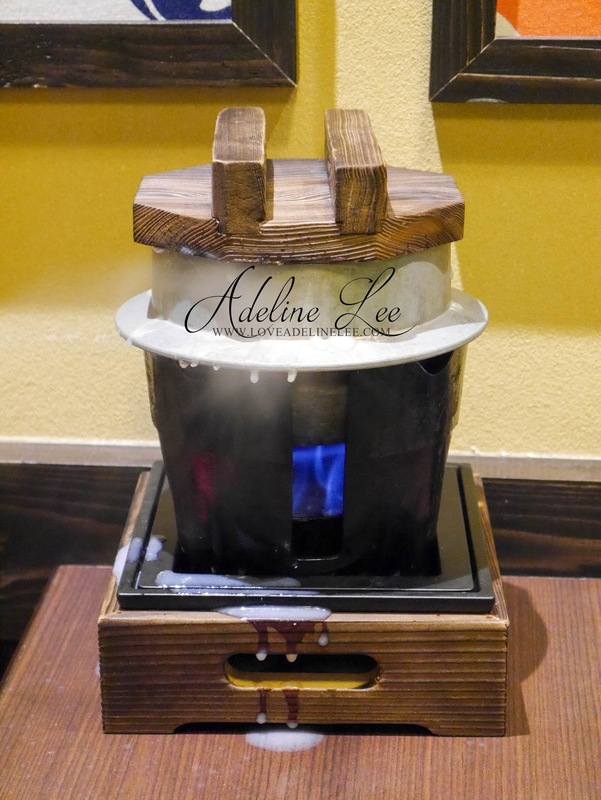 Dip it with their soy sauce will enhance your taste buds. When comes to dessert time, Matcha de Roru is my favorite dessert among all. 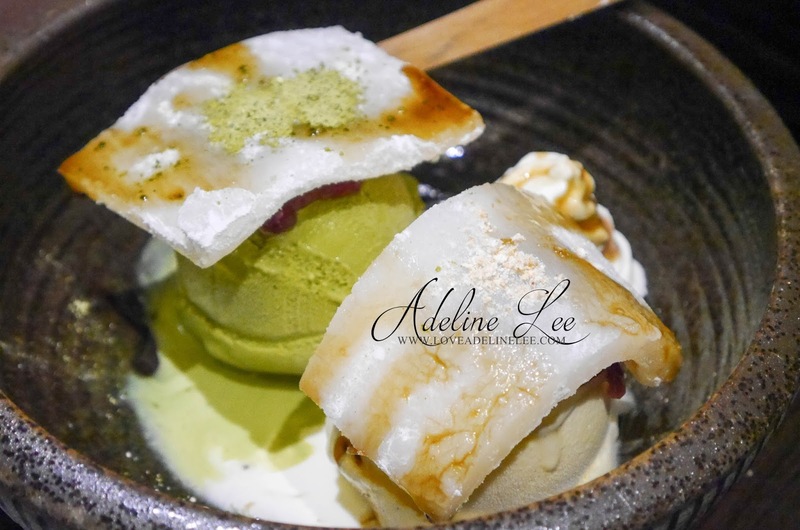 Match crepe skin wrap with red bean and vanilla ice-cream. Red bean and vanilla ice-cream are totally the perfect match. When you visit a Japanese restaurant, every dessert is about green tea. How can you resist it? I am a big fans of green tea. 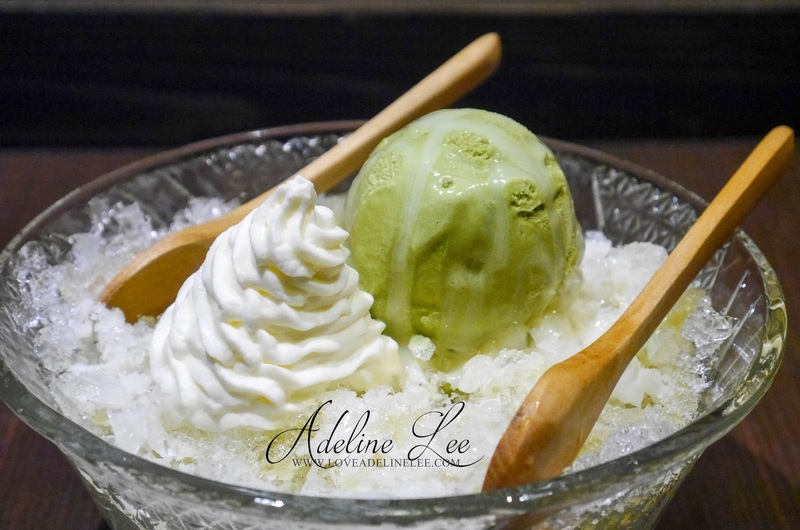 This awesome Match Kakigori is served with green tea ice-cream and shaved ice. Kakurenbo Aisu is the combination of vanilla ice-cream, green tea ice-cream, rice cake and red bean in a bowl is awesome. Don’t you think it is the best combination ever as a perfect dessert? How can you miss this? The food sure looks good. Happy New Year! Yup! It is! Thanks for dropping by! Happy New Year! Wow this reminds me of Tokyo. Will pay a visit soon. Thanks Sherry! Thanks for dropping by! Happy New Year! 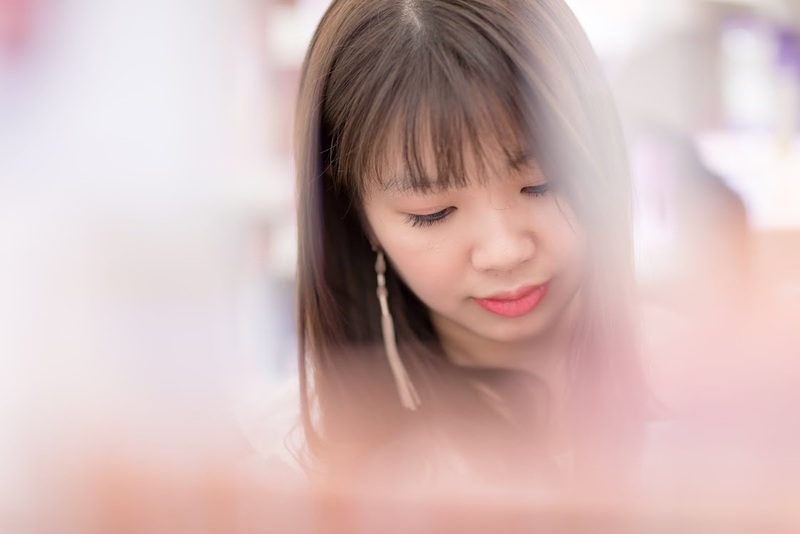 wow`~~ there were so many highlight in this post! 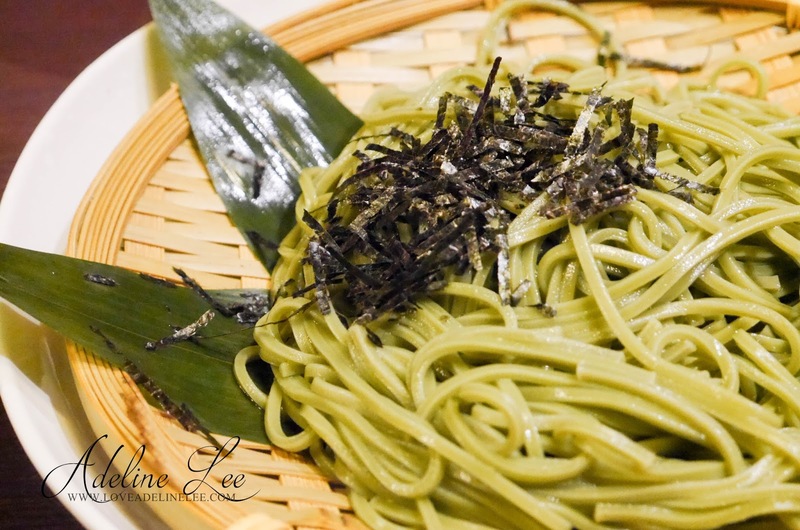 but I like the long flume bamboo noodle the most! I like to play masak2 too! 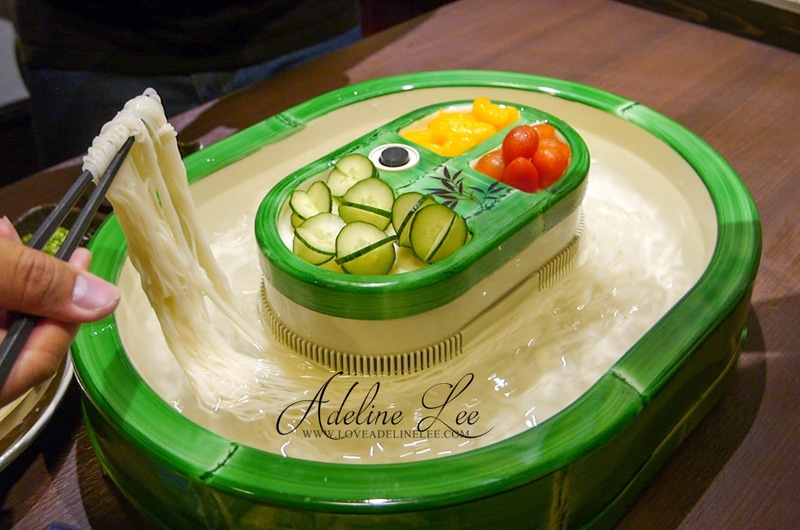 Wish that I can really catch the noodle like the sushi king style in Japan! Its fun to eat and play! LOL! Thanks for dropping by! Happy New Year! Its yummy! Thanks for dropping by! Happy New Year! the food look so delicious... 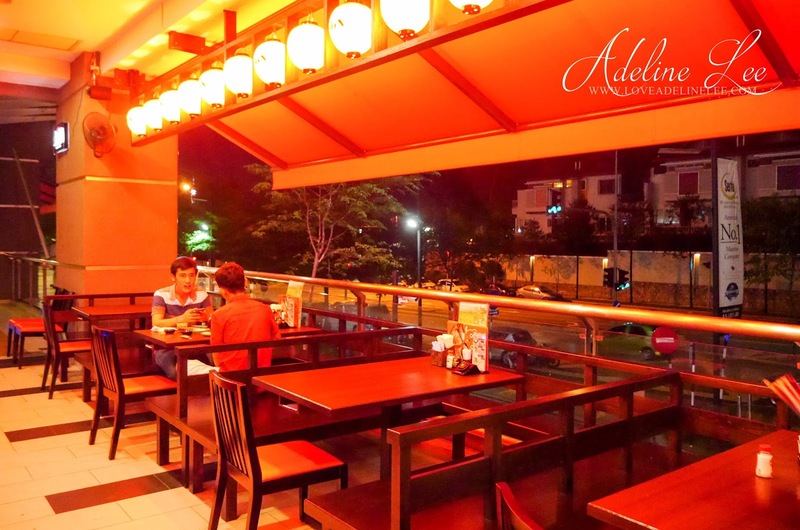 I am feeling hungry... will check it out next time am in Publika..
Oppss! Thanks for dropping by! Happy New Year! I know right! So much fun and i love it so much! Yup! Thanks for dropping by! Happy New Year! 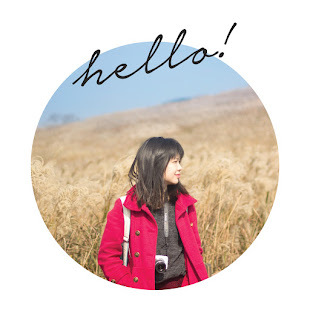 Dear, your food photos are foreverly nice! you should try it then! Happy New Year! the food looks good! especially the ice cream. definitely i will drop by this place one day. omg..all food looks sooo delicious! dont know what choose if i go here..haha..
Hehe! Thanks for dropping by! Happy New Year! you just made me very hungry.. at 12.18am .. where to find food la at this time. Oppss.. sorry! 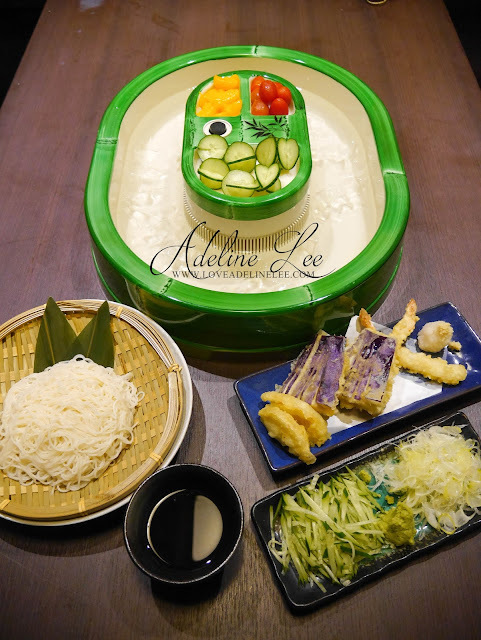 :P Tsubohachi foods are really worth to try! The dishes look so yummy! Love the ambiance too! 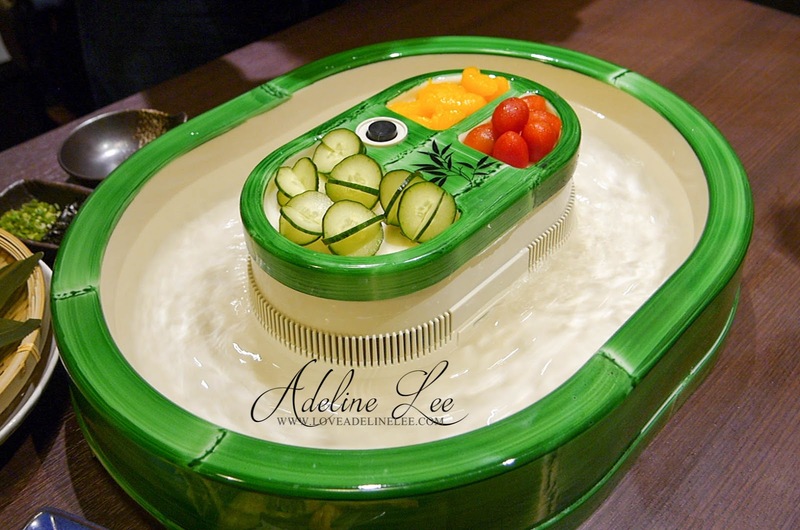 Such a beautiful presentation for the dishes. The price range is quite alright as well, should definitely go and dine there one of these days. 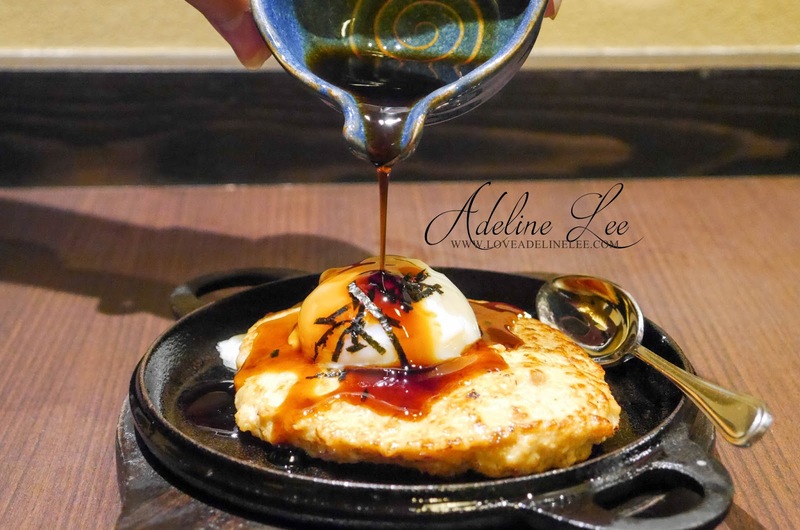 Ontama Tsukune Teppanyaki looks tempting with egg on top. I'll try this as price looks reasonable too. Ya. you should try it! Their price is reasonable. Yummy! 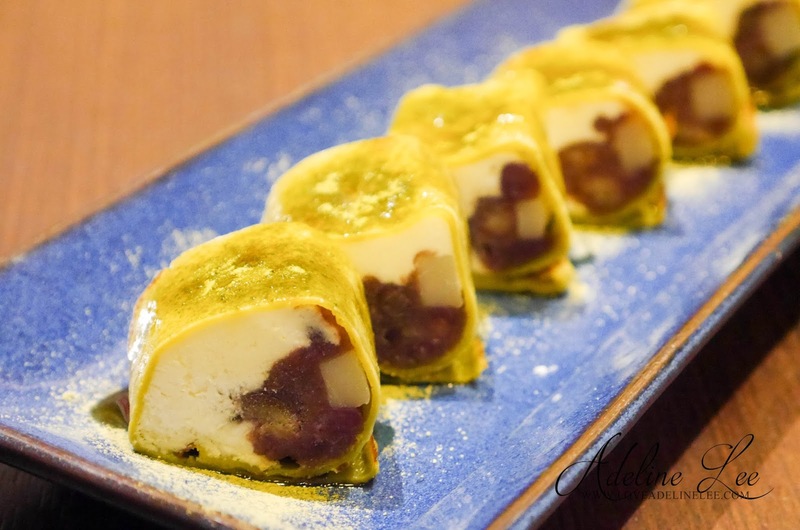 I love dessert from Tsubohachi! Next time I will go there!